The Cambodian Valuers and Estate Agents Association (CVEA) were founded by a number of real estate agencies operating in Cambodia and are registered at the Ministry of Interior as a non-profit business network organization in November 2008. The mission of CVEA is to serve all members to gain optimum opportunities and real estate market competitive advantage in Cambodia through strengthening professional competency, promoting business ethics, integrity, accountability, advocacy, and increase real estate market demands. Currently, CVEA has registered members of 58 agencies and is governed by an elected Board of Directors and directly led by a President who is elected for 2 years-terms. The organization is supported for its day-to-day operation by a secretariat. In order to fulfill its statutory mandate, the CVEA has formulated and adopted a 5-Year Strategic Plan, which will be used for a master plan and a roadmap to direct its operations to achieve the stated mission and number of setting indicators. Our 5-Year Strategic Plan is a reflection of our organization's unique philosophy and beliefs, and how we see our organization evolves in the long run in a country which will be a part of a dynamic ASEAN Community. The Strategic Plan covers the CVEA's long-term objectives, strategies, approaches, action priorities to be implemented over a period of five years from 2014 to 2018. It was developed through a participatory approach involving by the majority number of CVEA’s members, the executive committee, business lawyer, international real estate professional, the secretariat staff, and it was also presented to the CVEA’s Board of Directors for final inputs and approval. Based on the adopted Strategic Plan, CVEA will develop its Action Plan that presents annual objectives, priorities, and target results to be completed following its resources and ability. The "Cambodian Valuers and Estate Agents Association" was initially established on 8th August 2008 under the original name of "National Valuers Association of Cambodia (NVAC)" by the initiative of H.E. Dr. Keat Chhon, Deputy Prime Minister and Minister for Economy and Finance. The organization obtained its registration with the Ministry of Interior on 27th November 2008. In order to extend its membership, on 7th April 2011, the Association changed its name to the "Cambodian Valuers and Estate Agents Association (CVEA)". On the 27th April 2009, the Association was adopted for the 8th full member of ASEAN Valuers Association-AVA in the international conference in HOI AN city, Viet Name. Since its establishment, CVEA has organized a numbers of high profile workshops, symposiums, and conferences at the national and international level. CVEA kicked start a workshop on license management and control for real estate agents and a conference on the first public bond, respectively in September and October 2008. From 20-22 July 2011, CVEA and the MEF co-organized the 17th pre-conference of ASIAN Valuers Association in Siem Reap under the theme of “Together for better future development” and a workshop on “Regional Real Estate Investment Outlook”. Since September 2012, CVEA has organized a series of activities to promote professionalism in the sector, including training sessions for real estate Valuers and Agents. 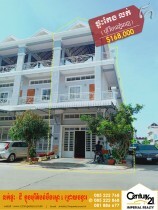 Honor the legal right and promote the virtuous profession of the Cambodian Property Valuer and estate agent. Take care of and develop property agent valuers principle in accordance with international regulation. Develop a forum for harmonious study research relating to valuing profession and property service providing in the country and in the region according to the evolution of society and economic. Participate in the arrangement of conference, congress; get ready for the congress, workshop, meeting and the arrangement of national and international meeting and exhibition. 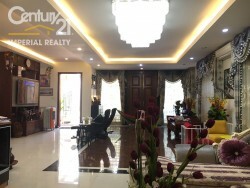 Encourage cooperation and mutual understanding among property valuers agent in the country and oversea. Encourage study research on different field of valuing and property service providing locally and internationally. Encourage innovation and information sharing to each other relating to land issue, land taxation, valuing system locally and internationally. Cooperate with national and international non-governmental organizations to accomplish the goals as described above. Prosperity and Integrity for every people is the success of real estate business industry. We (CVEA) wish to see all service providers in real estate industry in Cambodia are able to serve clients in professional competency, ethics, integrity and social accountability. CVEA’s mission is to serve all members to gain optimum opportunities and real estate market competitive advantage in Cambodia through strengthening professional competency, promoting business ethics, integrity, accountability, advocacy, and increase real estate market demands. Our thought, behavior and what we act we try our best competency and consistency to serve for optimum advantage of association’s members, community and clients are aimed at generating prosperity and integrity of wherever we work for, although we built up on different companies and different background.Consistency is a principle to guide us to work together in full participation, consensus and decision based on our high standard of business ethics and our professional code of conduct. CVEA is the official body to represent the voice of all members of the Association while every member can share his/her views, experiences and aspirations in adherence to the CVEA's guiding principles. Being a member of association is a value-added for promoting firm and its brand in real estate sector showing integrity and social accountability. Our works will generate extra benefits for our members beyond their normal expectation through sustained efforts to promote a caring social image, quality products and services, high standard of business ethic performance and capacity development. The CVEA is the resource center where all members can explore knowledge and techniques to build their own business success. Our members can gain more benefits through access to our training and capacity development program according to their needs. CVEA treats all members equally without nondiscrimination of information sharing, business competition, impartial of treatment, and rights to vote. They have equal right to cast one vote for one voice in the decision making in the organization. We care for our members equally and equitably irrespective of gender, race, and cultural background. The leadership and management of CVEA adheres their highest standard of professional ethics and good governance. We are accountable to the members, clients and to the public. Our obligations are to promote interests of our members and communities while we remain fully compliant with the laws of the Kingdom of Cambodia. The transparencies of our works are reflected in the open access by our members, our stakeholders and the public to information pertaining to the decision of our management.